This article will help you know about Lahaul Spiti Himachal Pradesh – the area-wise largest and population-wise least populated district of Himachal Pradesh. As per Kaningha, Lahaul means South District. Famous writer Rahul Sanskityayan, Lahual means land of God while some say, it means “Land of Passes”. The name of Lahaul is the deformed version of ‘Rahul’, son of Lord Buddha, whereas Spiti means “Maniyo Ki Bhumi’ (Land of precious stones). Manu is considered to be the ancient ruler of this area. People of this area are also said to have participated in the Mahabharata. Kanishak Stupa can be spotted in the Zanskar area of the district. Hieun Tsang visited Kullu and Lahaul in 635 AD. As per Hieun Tsang, Spiti was under the regime of Samudra Sen.
Rulers of Spiti were known as Nono. In 8th century, Spiti was under Kashmir. Kashmiri art can be seen in Trilokinath temple of Udaipur. Mrikula Devi temple was built by Ajay Verman. Lahaul was under Ladakh king La Chan Utpal (1080-1110). Tibet attacked Kullu and Ladakh when it was under the rule of Kashmir king Jain-Ul-Abddin (1420-1470). Lahaul was a part of Kullu under Raja Bahadur Shah (1532-39). 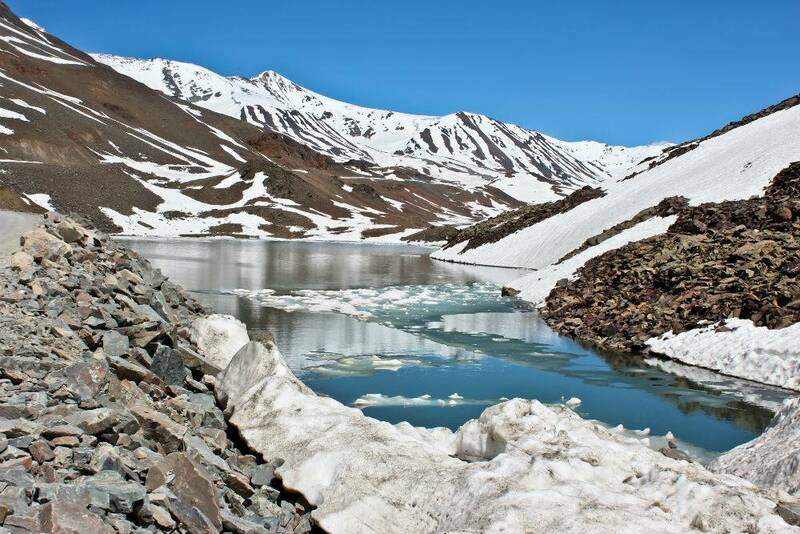 Lahaul was also a part of Kullu under Raja Jagat Singh (1632-72). Raja Vidhi Singh occupied Lahaul with the help of Mughals. Kullu king Man Singh (1690-1720) built Gondla Fort. Kullu king Vikram Singh ruled the area between 1806-16 as his name can be found in name was found on rock inscriptions in Gamur Gompa. William Murcraft visited here in 1829. During his visit Lahaul was under Ladakh with Tandi being its capital. Sikh Leader Zorawar Singh attacked Ladakh and Spiti in 1834-35 and the area came under Sikh regime in 1840. Amritsar Pact was signed between the British and Gulab Singh in 1846 after which Spiti came under British. Baliram was the first Negi appointed by Britishers. Nono Wazir of Spiti helped the British during the revolt of 1857. Pleased by Amir Chand during 1st World War, British gave him the title of ‘Rai Bahadur’ in 1917. Post-independence, in 1941, Lahaul became a sub-tehsil with its headquarters at Keylong. The state of Punjab made it a district in 1960. It became the largest district of Himachal Pradesh in 1966. MARRIAGE: Arrange marriage is known as Tabhagastan/Motheviyah. Kunmaibhagstan/Konchi are the terms used for ‘Bhaag Kar Shaadi Karna’. FESTIVALS: Important festivals of the region are Ladaracha, Sissu, Fagli, Halda/Losar, Porri. FOLK DANCE: Importance folk dance are Sheshni, Dhure, Gharfi. German Chaplain A.W. Hide started potato farming in Lahaul. Karu, Patish and Kaala Jeera are famous crops grown in Lahaul whereas Ratanjot is found in Spiti. Resin Grapes Research Center sub-Station is situated in Thirot. Cactus Root farming (Kuth) was started in 1925. Kuth and Dry fruits Research Centre was in Keylong in 1978. First Post Office was opened in 1869 in Keylong. Its branch was opened in Kaza in 1939. First School was opened in Keylong in 1861 and in 1932 in Kaza. We hope this article was successful in quenching your thirst for attaining knowledge pertaining to Lahaul Spiti Himachal Pradesh. Lot More Coming your way.